HOUSTON (KTRK) -- A Metro Police Department officer was injured during a funeral procession this morning on Houston's south side. The accident happened on the southbound lanes of Highway 288 before Reed. 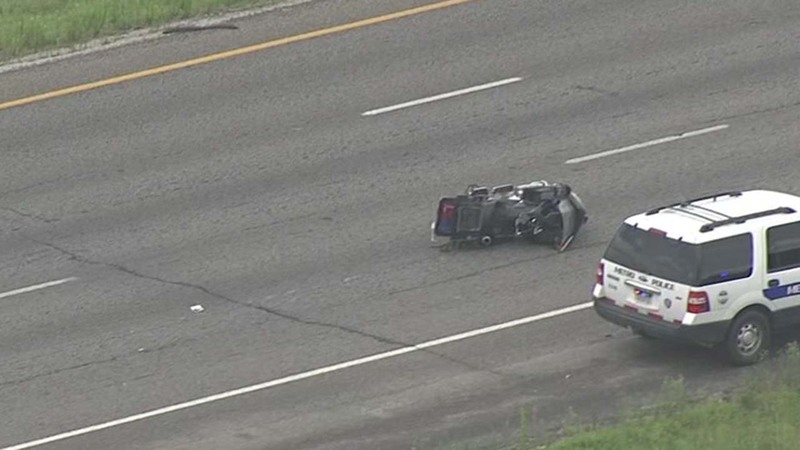 According to police, the officer was on his personal motorcycle when he was involved in a wreck with another vehicle. That vehicle turned around after the accident and was speaking with officers. The injured officer was sent to Memorial Hermann Hospital with injuries that are not life-threatening. The highway was shut down for several hours but opened just in time for rush-hour traffic.